Here we provide information on some of the CSR activities undertaken by Yanagiya in the interest of contributing to a richer, more productive society. JHDAC provides support for children who have lost their hair through struggles with cancer, atrichia, congenital alopecia and accidents by procuring wigs for them, enabling them to regain some of their self-esteem and dignity. 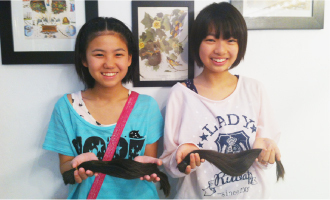 Yanagiya supports the work of JHDAC through hair donations and fund-raising activities. 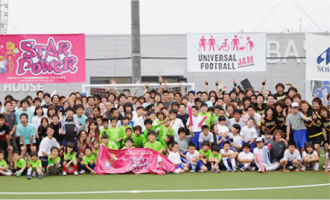 Yanagiya Honten provides support for CSR activities undertaken by professional athletes through a variety of not-for-profit organizations. We aid in enabling visits to hospitals by athletes and by extending invitations to patients to attend sporting events - allowing the athletes and young people to communicate with one another - and we also support charity auctions and a host of other similar activities. With the advent of a variety of new media and the development and growth of social media platforms, it is essential to develop new advertising and communications strategies. 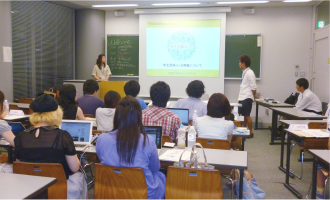 As part of our marketing efforts, we have initiated a joint research project with the Meiji University School of Commerce through which we provide a place for young people - the leaders of the future - to dedicate time and thought to research in this area. 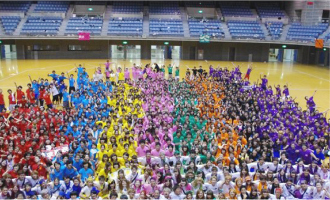 Yanagiya Honten offers support in a number of ways for students, who represent our future. We provide sponsorship for and offer samples of our products at school festivals, and we have also offered support and encouragement to students who have participated in volunteer activities following the Great East Japan Earthquake and overseas as well. Our objective is to give all support possible to the students who are working so earnestly and ambitiously toward achieving their own dreams. Copyright © YANAGIYA. All rights reserved.